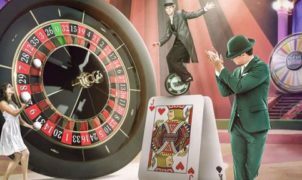 Which Live Casino is the most professional? Professionalism is initially always a nice subjective word, depending on someone’s definition of the word in itself. If you perceive it as an understanding that you attributes to something based on the look, appearance and experience, you will come closer to actual information. Different live casino providers therefore know a certain amount of clarity and quality. This depends, in addition to the appearance of the gaming lobby, largely of image and sound quality while playing. NetEnt is up to now the only live casino provider that has HD quality games, thus placing image quality at number one above the other providers. Also with regard to sound quality and rest while playing, NetEnt is also very sure. In terms of quantity, Evolution Gaming is by far the number 1. 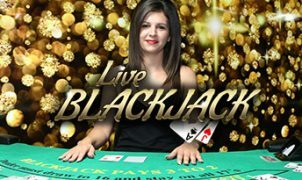 The amount of Live Blackjack games and Live Roulette games offered here is so large that there is always plenty of room and choice for players. Initially, these two live casino providers will therefore be regarded as most professional. On the other hand, the live casino of Portomaso Gaming with grey background and pink game tables is a live casino that looks less professional and distinguishes itself by, in some cases, not portraying the entire head of the live dealer. Although the image and sound quality of both Ezugi, Microgaming, and Portomaso Gaming is not all optimal, Portomaso Gaming is least affected by other flaws. In the case of live casinos, the assessment of professionalism is of course also based on the live dealers who are behind the gaming tables. Here too, if you look at the appearance and courtesy of the live dealers, these are the same with NetEnt and Evolution Gaming. In the case of NetEnts live games, the live dealers are formal and always stay polite. At Evolution Gaming, on the other hand, the live dealers have come a little bit more lighthearted and will quickly connect with you. The live dealers in Ezugi live casino miss some spontaneity because they lack a smile. Although Microgaming is the live casino provider, it is the lowest rating on the live dealerships. The live dealers look like they are not happy, often touch their hair and talk hardly to you.